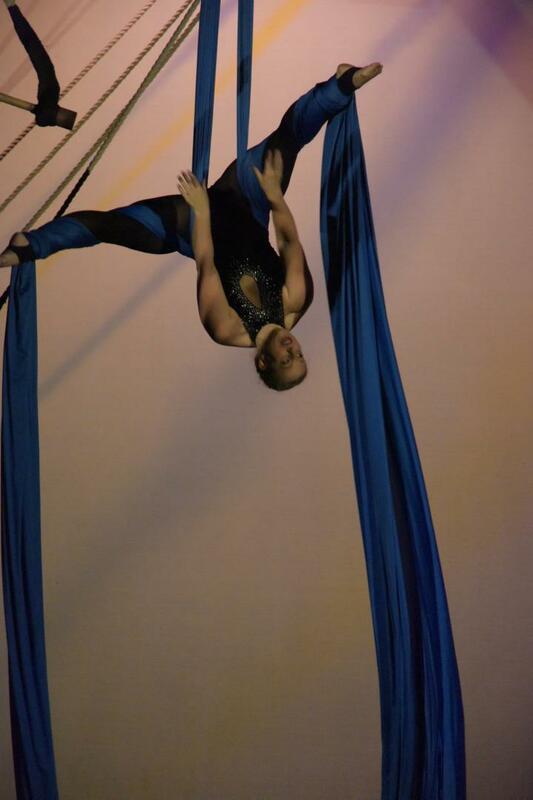 These are fun and challenging physical classes for beginners or students progressing to an intermediate level, but also for anyone wanting to try an Aerial Silks class. 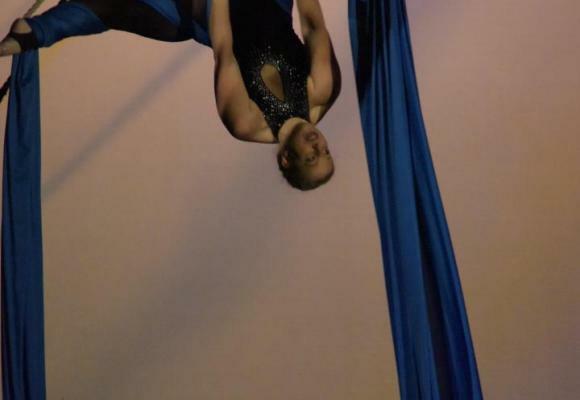 The classes are tailored to the individual levels of the participants and are open to all levels of fitness and ability. 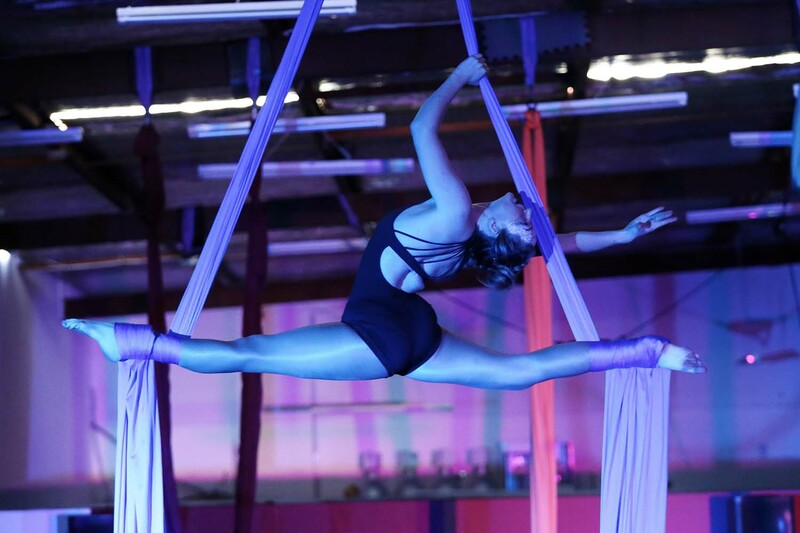 The Aerial Silks class consists of an initial quick warm-up routine followed by light stretching to get the muscles ready for action in the air. 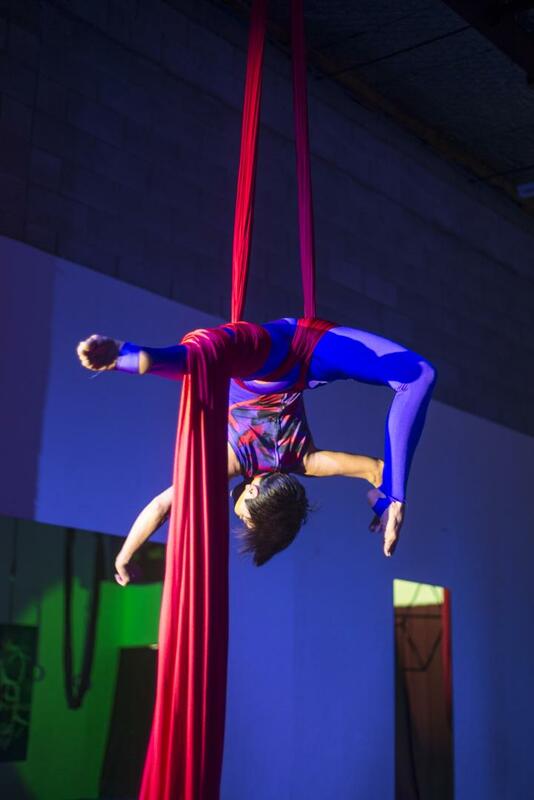 Next, students will be learning a wide variety of skills on an aerial tissu or silks. 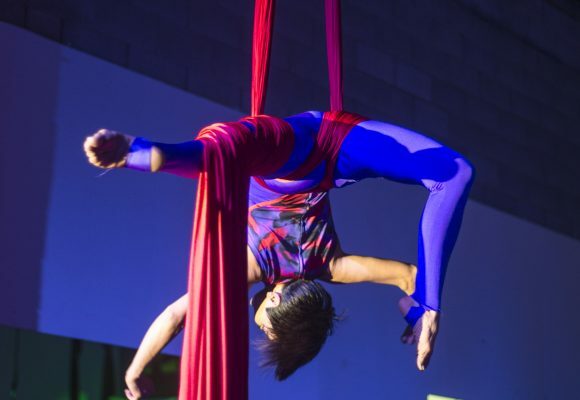 This includes learning new skills and tricks, conditioning, transitions and sequences with a light stretching sequence at the end of the class. 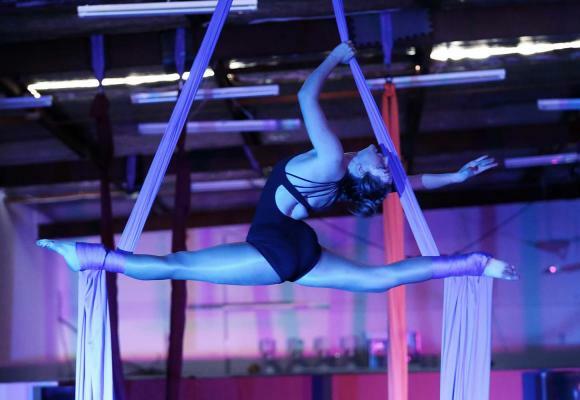 The classes are focused or strength building and technique. Class duration is 1.5 hours.